The Supreme Court handed down a decision today in B&B Hardware, Inc. v. Hargis Industries, Inc. (No. 13-352), in which it reversed an Eighth Circuit ruling regarding whether a decision by the Trademark Trial and Appeal Board (TTAB) during an opposition proceeding that there was a likelihood of confusion between two marks could have a preclusive effect in a subsequent trademark infringement lawsuit in a district court. In a 7-2 decision, authored by Justice Alito, the Supreme Court held that in certain circumstances, final decisions by the TTAB can preclude re-litigation of those issues in later forums. Justices Thomas and Scalia dissented, stating that they did not think that TTAB decisions should have preclusive effects. B&B Hardware registered its trademark “SEALTIGHT” with the USPTO in 1993, which was used with threaded and unthreaded metal fasteners and other related hardware. In 1996, Hargis sought to register its own mark, “SEALTITE” for self-piercing and self-drilling metal screws. B&B Hardware opposed the registration, contending that the marks were confusingly similar. Although not described in detail, the Court noted that the parties had been involved in disputes before the USPTO and courts in the Eighth Circuit for the last twenty years, including three trips to the Eighth Circuit and two jury verdicts in infringement actions. Relevant to this case, the parties were before the TTAB on an opposition proceeding brought by B&B Hardware. B&B Hardware successfully argued to the TTAB that the USPTO should not register the SEALTITE mark because it was confusingly similar to its SEALTIGHT mark. While the Lanham Act provides that a decision of the TTAB can be appealed to either a district court or the Federal Circuit, Hargis declined to seek any judicial review, and the decision of the TTAB to not allow registration of the SEALTITE mark became final. While the opposition proceeding was occurring, B&B Hardware brought a trademark infringement action against Hargis in district court. Once the TTAB decision became final, B&B Hardware argued before the district court that Hargis could no longer contest the issue of likelihood of confusion based on the doctrine of issue preclusion. The district court disagreed, and a jury ultimately concluded that there was no likelihood of confusion. The Eighth Circuit affirmed. 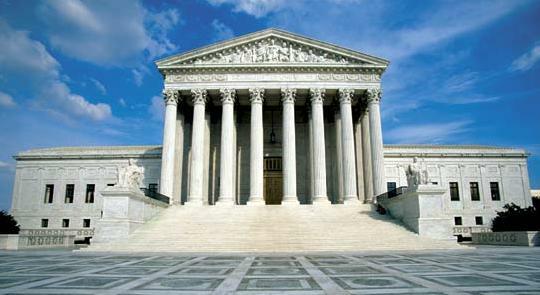 The Supreme Court ultimately reversed both the Eighth Circuit and the district court. In deciding whether issue preclusion could apply to a TTAB decision, the Court first concluded that issue preclusion is not limited to proceedings involving two courts. It is possible that agency decisions (such as a TTAB decision) can be given preclusive effects unless Congress clearly indicates otherwise. In this case, the Court found that Congress did not indicate in the Lanham Act that TTAB decisions should not be given preclusive effect, so it concluded that issue preclusion is potentially available. Next, the Court considered whether the TTAB and the district court were, in fact, deciding the same issue in order for issue preclusion to be available. It reviewed the standards applied by both tribunals and concluded that the same likelihood-of-confusion standard applies to both the registration of marks and the question of infringement. If a mark owner uses its mark in ways that are materially the same as the usages included in its registration application, then the TTAB is deciding the same likelihood-of-confusion issue as a district court in infringement litigation. By contrast, if a mark owner uses its mark in ways that are materially unlike the usages in its application, then the TTAB is not deciding the same issue. Thus, if the TTAB does not consider the marketplace usage of the parties’ marks, the TTAB’s decision should “have no later preclusive effect in a suit where actual usage in the marketplace is the paramount issue.” 6 McCarthy §32:101, at 32–246. In addition, the Court reiterated that if the TTAB considers a different mark than is at issue in the litigation or has decided a different issue than is before the district court, there can be no issue preclusion. Because Hargis decided not to appeal the TTAB decision, it was a final judgment. And, because the likelihood of confusion issue was the same in both tribunals, the Court concluded that issue preclusion applied. Thus, the Court reversed the Eighth Circuit and remanded the case. There were a couple of issues that the Court touched on, but did not rule because either the parties had not preserved the issues or they had not been adequately presented. In both instances, the majority noted that the constitutional issues were not before it, but it seems unlikely from what was said that they would have been successful even if they had been. For instance, the Court noted that it has never had the occasion to determine whether issue preclusion from an agency decision violates the separation of powers in Article II and III of Constitution. In addition, the Court indicated that Hargis failed to preserve a Seventh Amendment challenge that giving preclusive effect to an non-jury, agency decision denied it a right to a jury. It will be interesting to see if those challenges are raised with more care in future cases before the Court. As seems to be typical in intellectual property cases before the Supreme Court, the Court did not set down a bright-line rule. The Court held that in some appropriate circumstances, decisions by the TTAB can be given preclusive effect in subsequent litigation in Article III courts. The Court caveated its determination, though, so litigants in the TTAB will need to carefully consider what the risks might be if they do not seek judicial review of a TTAB decision in either a district court or before the Federal Circuit. This uncertainty will likely give rise to more challenges to TTAB decisions, especially where there is a risk that those decisions have aspects that are similar to issues being raised in court (such as likelihood of confusion). For further discussion of this case, the Likelihood of Confusion blog has some good coverage. This entry was posted in Trademarks, United States Supreme Court and tagged Eighth Circuit, issue preclusion, lanham act, opposition, pittsburgh trademark lawyer, TTAB. Bookmark the permalink.